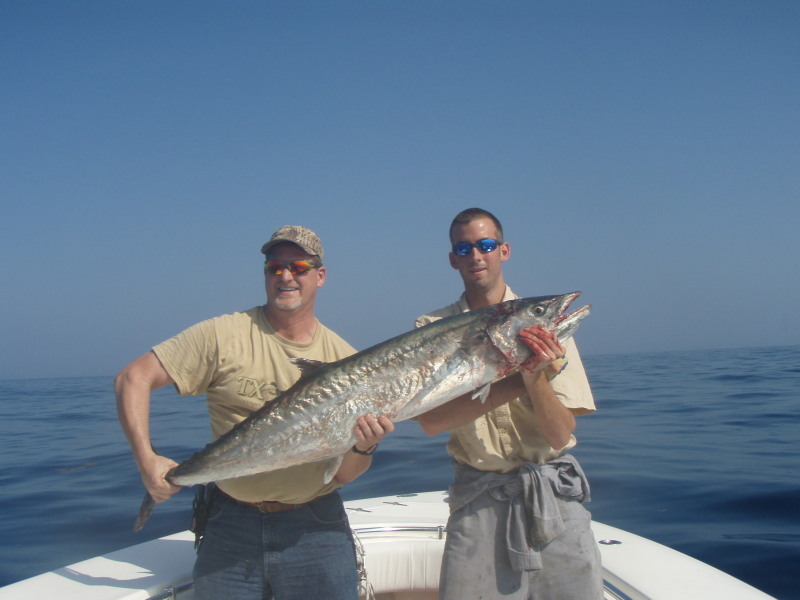 Why use TOA for your Galveston or Freeport Texas Deep Sea Fishing Adventure? We provide the most courteous and knowledgeable Captains, the fastest boats, the most accessible and luxurious lodging, and a guarantee that you will be satisfied. We understand that if you are satisfied with our service, you will return, and you will bring others with you. The question is, when you get out on the water, do you want to fish or do you want to catch? "If you want to eat cheese and sip wine....charter a yacht"
Adventures, LLC is your answer. It’s not rocket science: The more time you have to fish…the more fish you are going to catch. It’s our philosophy to run larger and faster boats so that our customers get to the fishing grounds first, fill the boxes with fish, and get back to the dock so they can enjoy a relaxing evening at the Lodge. Your Offshore Adventure Starts Here! 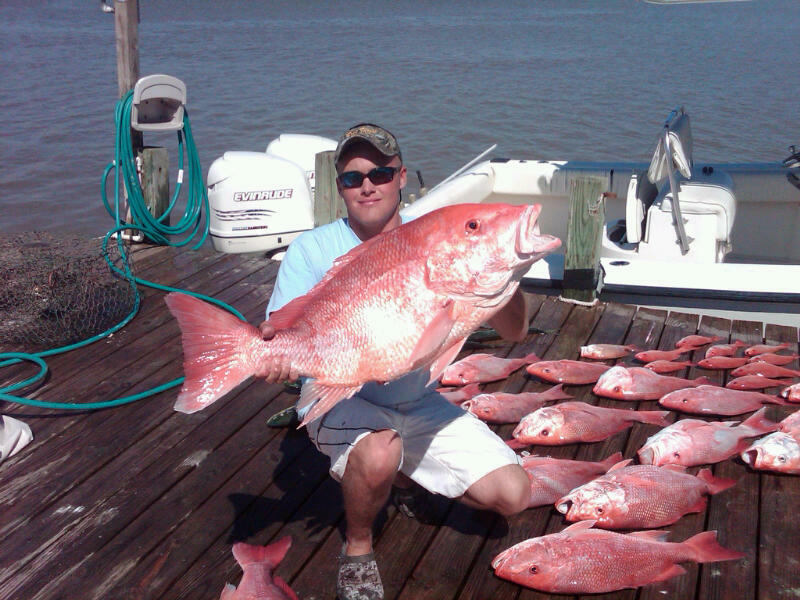 Freeport is the ideal launching point for offshore fisherman on the upper Texas coast. Deep water and the fishing grounds are closer to Freeport than ports further north. This translates into more fishing time and less of a boat ride. And when you are in the mood for a little wade fishing, the lodge is within walking distance to one of Texas' most pristine beaches, Bryan Beach. Offshore Adventures has you covered. In the morning, our guest meet the Captain dockside and discuss the game plan for the day. After all of the gear is stowed we leave the dock at safe light and normally enjoy a cup of coffee while watching the brilliant sunrise and various species of wildlife greet the day. As we clear the jetties the Captain points the bow in the direction of the fishing grounds an throttles up the triple engine Contender. If live bait is on the agenda, we will locate it and drop the Sabiki rigs to fill the live wells. After a short ride you drop your line in deep water, the rod bows, and the fight is on. As soon as you reel it in, you snap a few photos of your prize, the Captain takes care of the catch and you give it another go. Once the boxes are filled and our guest' arms are sore, its time to head back to the dock. The ride back is usually filled with tunes on the radio, laughter and fish stories, and you can't wait to text those pictures to your buddy who didn't get his kitchen pass. shower, patch your war wounds, and kick back with a cold one to relax on the porch, just in time to catch the sun setting. Finally, you fire up the grill, enjoy your catch and camaraderie, which can't get any better. Why Freeport? For the ladies: Lake Jackson, a quaint Texas shopping town, is located within minutes of the lodge. Call or email today to book your offshore adventure! !